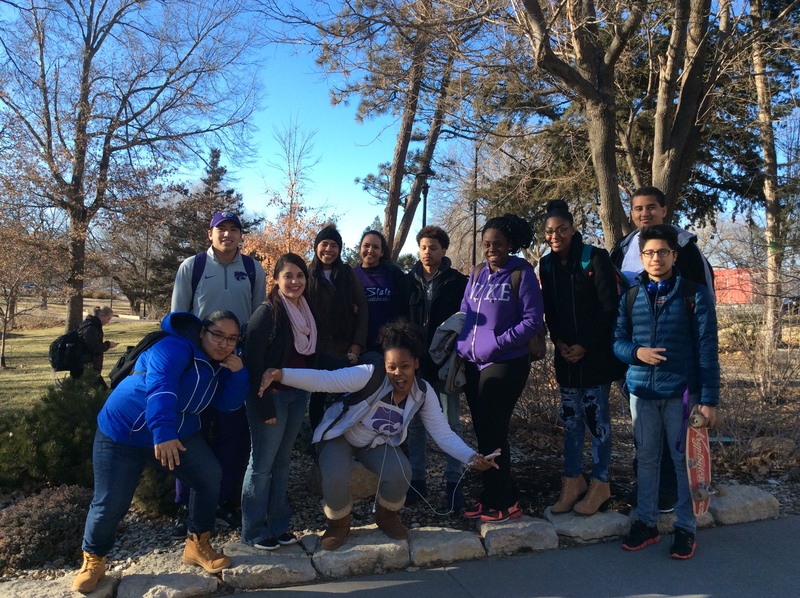 Lorena, Xavier, Odalys, Mursadeez, Jocelyn, Nallely, Jourdyn, Del’Sha, Ray’Monik, Brandon, and Jairo take a moment to pose for a photo on a chilly February afternoon. 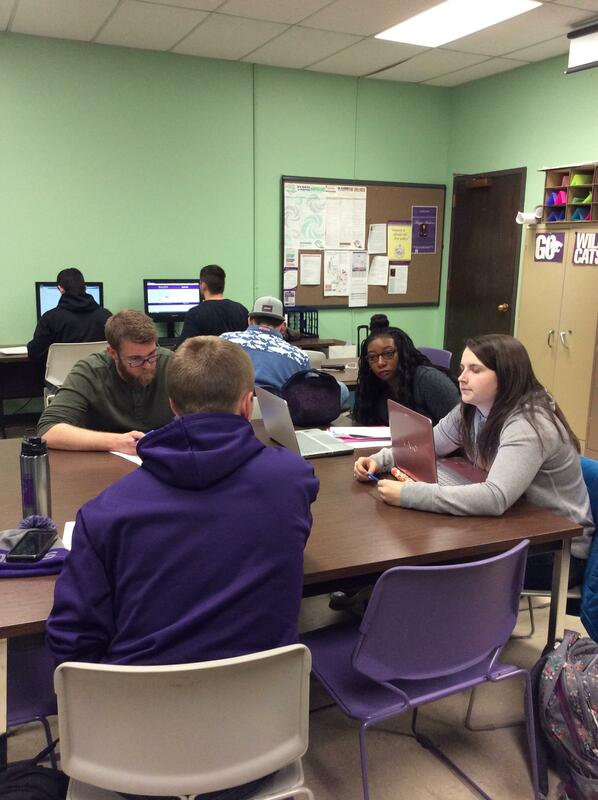 Our wonderful PA, Shelby leads a discussion with Aaron, Austin, and Sierra over their notes for Psychology 110. 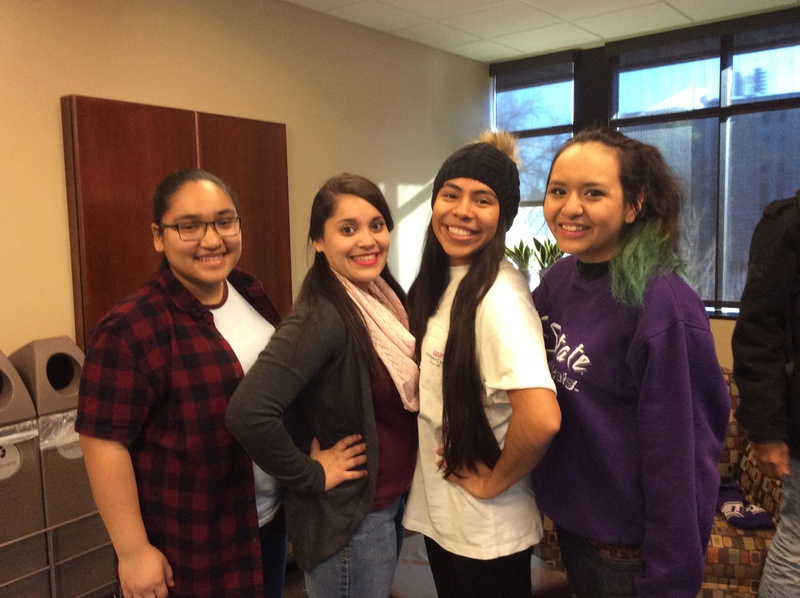 Lorena, Odalys, Jocelyn, and Nallely are all smiles as they relax in the Staley School of Leadership Studies. 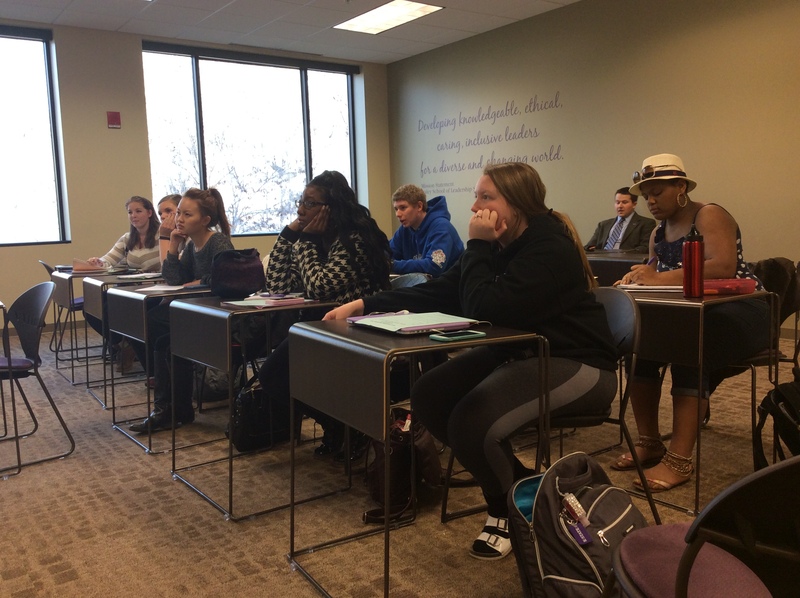 Pilots Students listen intently to a guest speaker in Geography 100 on February 4th. 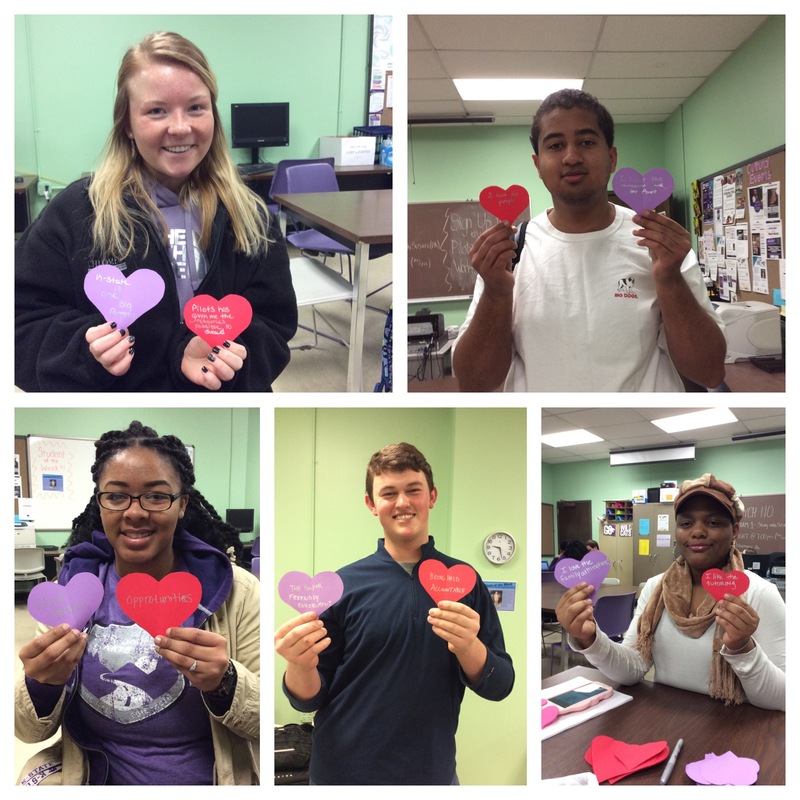 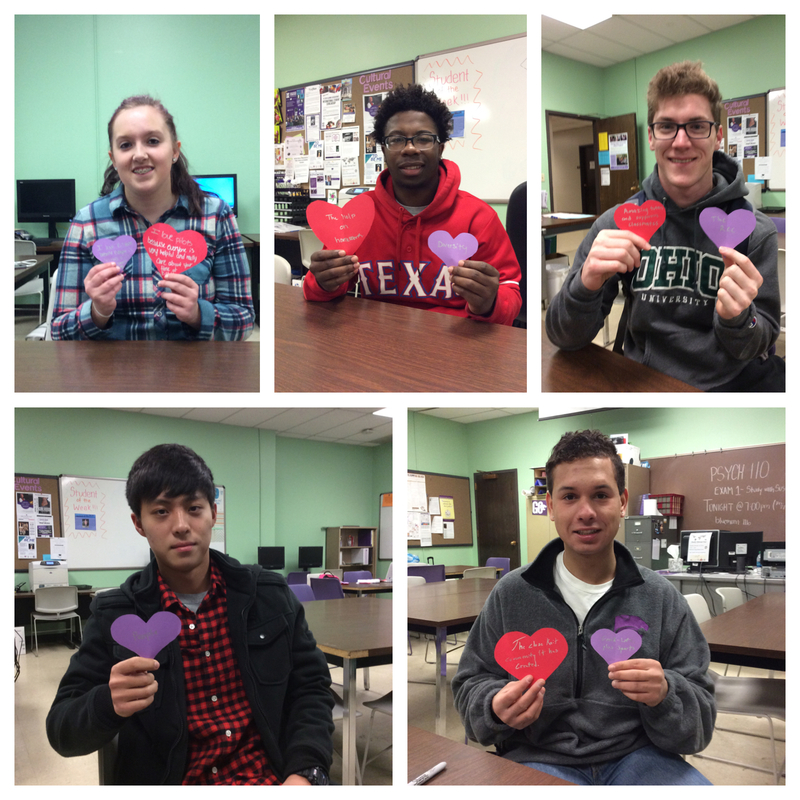 Abigail, Brandon, Nikki, Clayton, and Crystal celebrate how much they love Pilots right before Valentine’s Day. 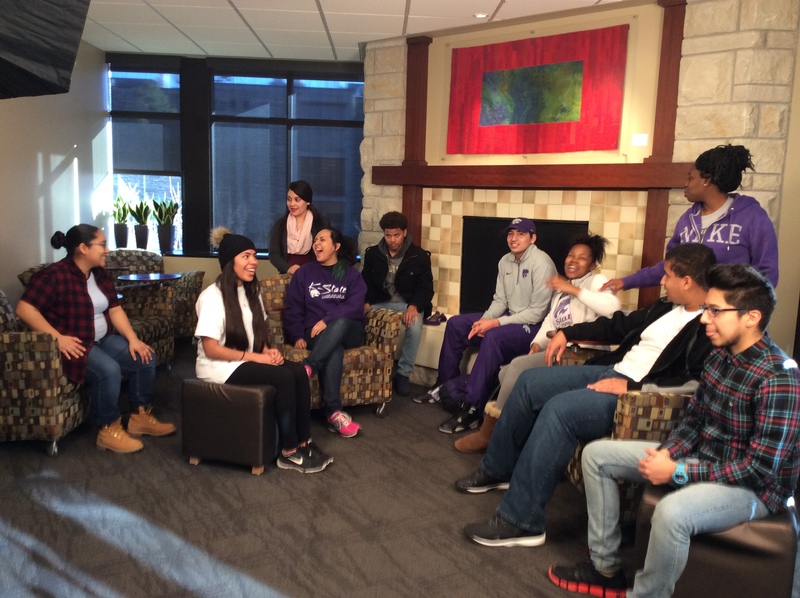 Lorena, Jocelyn, Nallely, Odalys, Jourdyn, Xavier, Mursadeez, Del’Sha, Brandon, and Jairo take a break from their homework to have a little fun in the Leadership Studies Building. 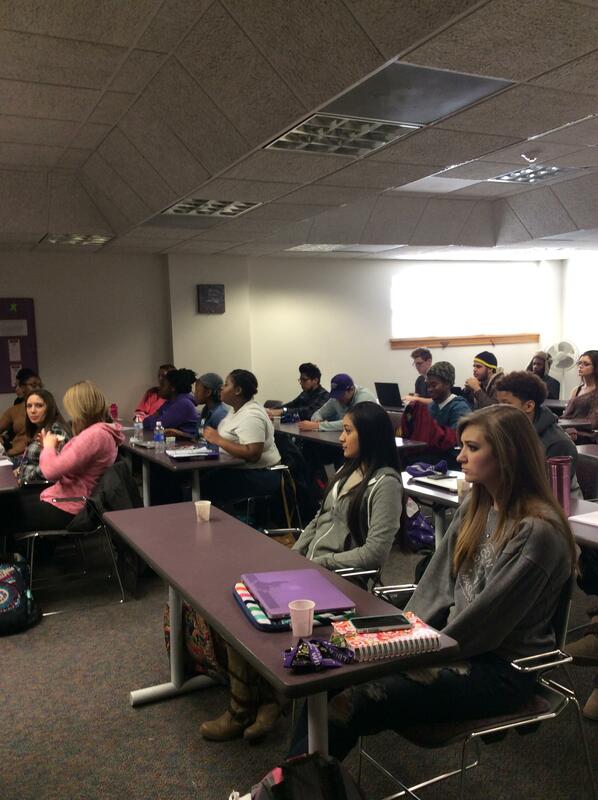 A group of Pilots students attend the Pilots Scholarship Workshop and learn how to make their applications stand out! 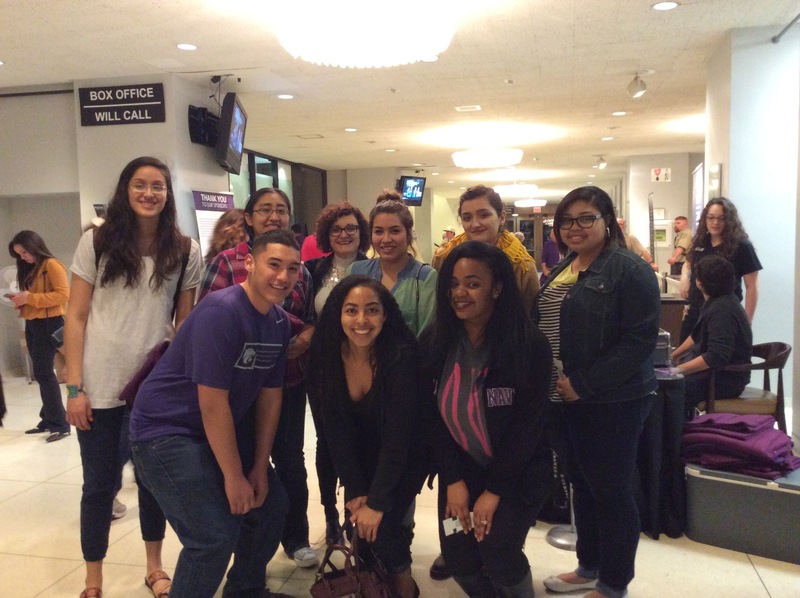 A few of our wonderful sophomores take a moment to pose with Rebeca before attending the Los Lobos event at McCain Auditorium on February 18.